As a community that seeks to walk with Jesus in daily life, we honor all questions and value everyone’s journey. We may not always have all the answers, but we do have a desire to be in conversation with one another about important issues of faith, theology, and society. We offer regular opportunities for spiritual growth throughout the year. 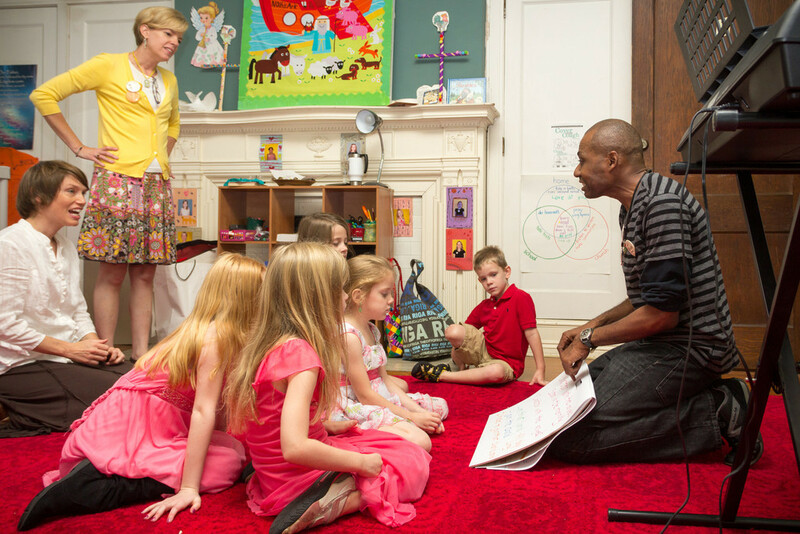 During the school year, we offer Sunday School for adults and children of all ages on Sunday morning at 9:15 a.m. Children receive special music and liturgy training as a part of their Sunday school experience. 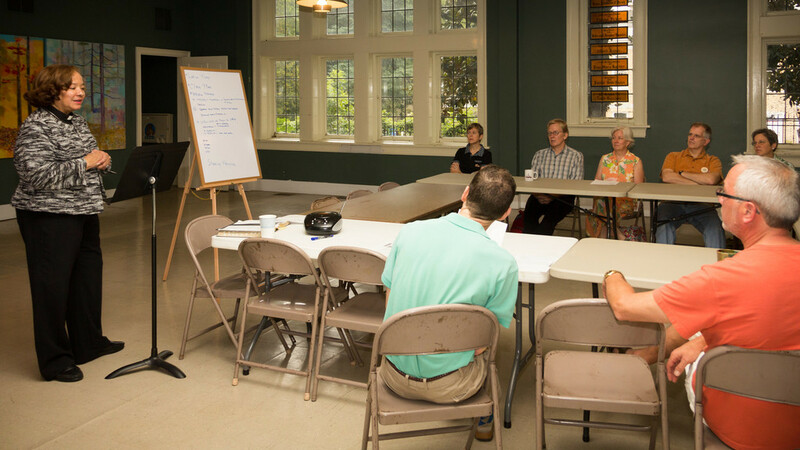 Throughout the year, the congregation offers opportunities for Bible study, theological reflection, moral deliberation, and the development of personal spiritual practices. Confirmation, more appropriately titled “Affirmation of Baptism”, instruction is offered for young adults of middle-school age. Class meets weekly for one hour during the school year. This instruction is an opportunity for our youth to learn about and to claim the faith in which they were baptized. Pastor Nancy leads a Lectionary study every Tuesday 7 - 8 p.m at St. John's. Each week, we read and discuss the Scripture lessons for the upcoming Sunday. A second group meets downtown in the Healey building every Wednesday 12:30 - 1:30 p.m.
St. John's members also meet on the second and fourth Wednesdays of each month at 6:00 p.m. for bible study, a light dinner, and fellowship with members of Mercy Church, a local congregation of people living on the fringes of society. A group of St. John's members also meets on the second Tuesday of each month at 7:30 a.m. at IHOP on Clairmont and Briarcliff for bible study, breakfast, and fellowship. 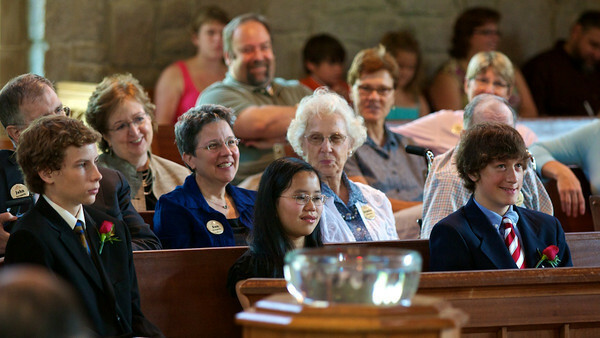 Decisions about first communion are primarily made by each family in conversation with the pastor. 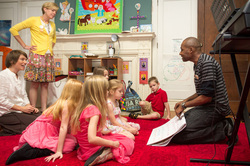 Children may be ready and eager to participate at different ages. We welcome all children to the table. A class in communion instruction is offered for all children during Lent of their First-Grade year. They receive a Bible from the congregation at the Easter Vigil. For some children, this will be their first communion. For others, it is a deepening of their understanding of the sacrament. Parents are encouraged to speak with the pastor about these issues.